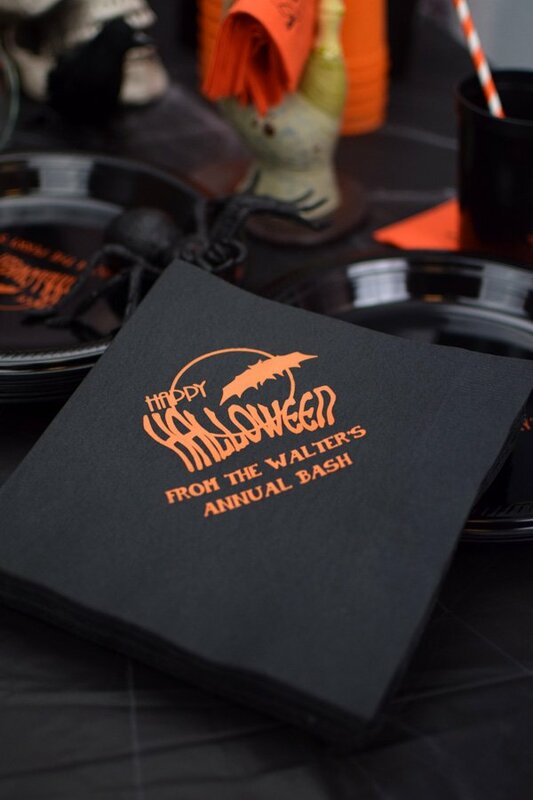 Serve up a spooky feast with these Halloween party paper dinner napkins. Custom printed with a festive design and your own custom message. 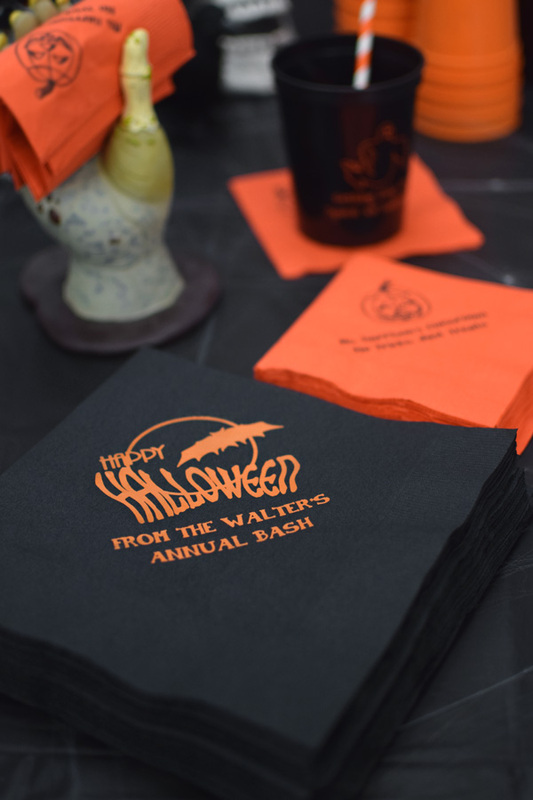 Personalized Halloween party dinner napkins are made from disposable, 3-ply paper and measure 8 inches square. Custom printed to order with your choice of design and print color. Made in the USA.